Note to self: Don’t keep change in your pocket on the golf course, especially around 2018 Masters champion Patrick Reed. 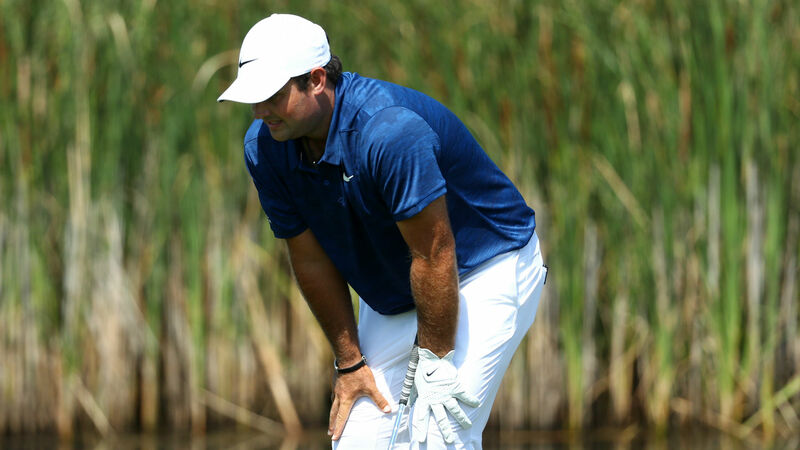 Reed is across the pond this week competing in the European Tour’s Porsche European Open in Germany, and on the first day of the tournament, Reed’s patience was tested when a cameraman apparently had change rattling in his pocket. Before audio cut to Reed and his caddie Kessler Karain, Karain was seen shaking his hand and speaking aggressively to the camera crew. But Reed didn’t stop there. Before approaching the ball again, Reed added, “You know what, no, I need y’all to go over on that side of the green. Go. Reed eventually carded par on the 10th hole and finished with a 2-under 70 — four strokes behind the leader, American Bryson DeChambeau.